Turnshek, Swisher, and Wilcox were selected by The Mars Society as part of a six-member team to explore a long-held human curiosity: the possibility of humans living on Mars. For the past 12 years, The Mars Society has been conducting experiments to gain insight into how astronauts would survive if they took an expedition to Mars. 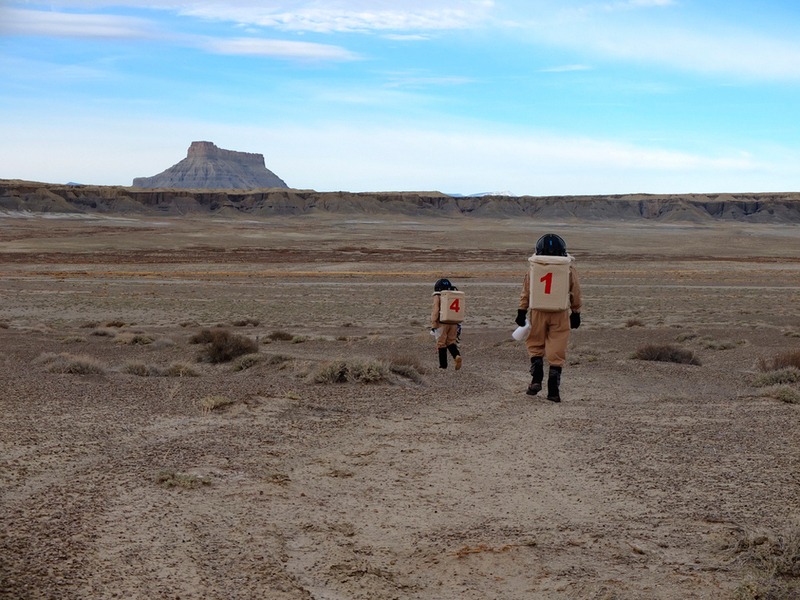 Each year The Mars Society selects a six-member team every two weeks to travel to their Mars Desert Research station (MDRS) near Hanksville, Utah from December to May. The research station consists of a two-story cylindrical habitat for living, a building reserved for waste treatment and biological projects called the Greenhab and the Musk Observatory. For two weeks, each group lives and conducts experiments just as astronauts would on Mars. 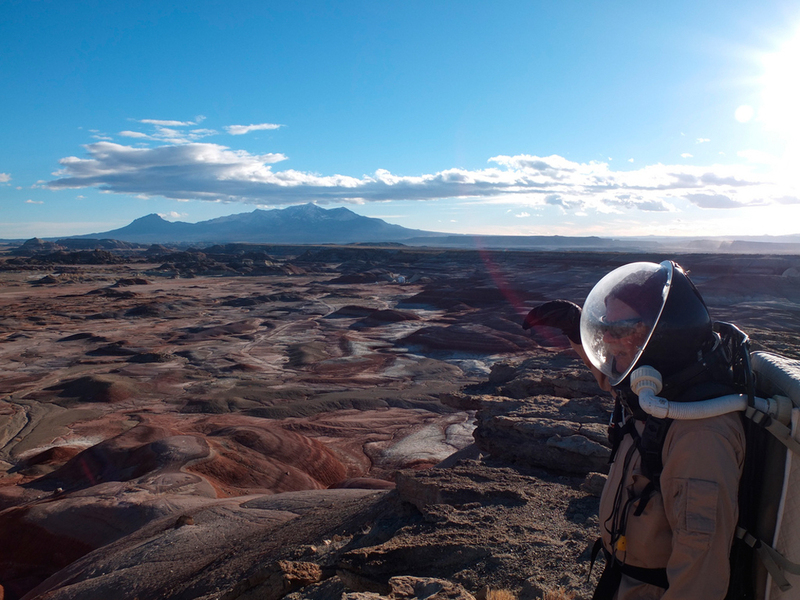 At MDRS, the team’s research spanned both geological and biological aspects of life on Mars. To gain a more concrete understanding of Mars’ environment, the crew traveled through airlocks, photographed geological formations, and studied rock and soil samples. According to Turnshek, the most interesting findings were those that would not be found on Mars, such as “fossil shell beds as far as the eye could see, tree trunks turned to fossilized wood, and ancient animal bones,” she said via email. Although these findings didn’t suggest a Martian environment, Turnshek was confident that the method of obtaining them would have been helpful on a Mars expedition. “We experienced the difficulty of doing fieldwork in spacesuits. Had we actually been on Mars, the way we identified interesting sites, mapped out and navigated the routes, and collected samples would have served us well,” she said. Traveling in spacesuits was just one of the many difficulties the team members faced. During their time at the research station, they came face to face with the challenges that would accompany giving up every day earthly conveniences and adjusting to an environment with a harsh climate and an intense drop in gravity. “I think we can figure out all the technological challenges of getting to and living on Mars, but the human factors will make or break a mission,” Swisher said. For all three, the trip played a significant part in their current work and future goals. For Swisher, the expedition was a significant step toward achieving her childhood dream of becoming an astronaut. “My goal of becoming an astronaut was not serious until MDRS.... Now I’m going to sign up for the Mars One astronaut training for a potential future trip to Mars,” she said via email. After her experience at MDRS, Swisher plans to go backpacking, participate in outreach programs for younger students, and possibly make a second trip to Utah or do similar simulations in other parts of the world. “I have academic and research experience in my field, but MDRS has given me professional experience in a totally different category,” she said. Both Wilcox and Turnshek intend to use this experience in their upcoming works of art and fiction. 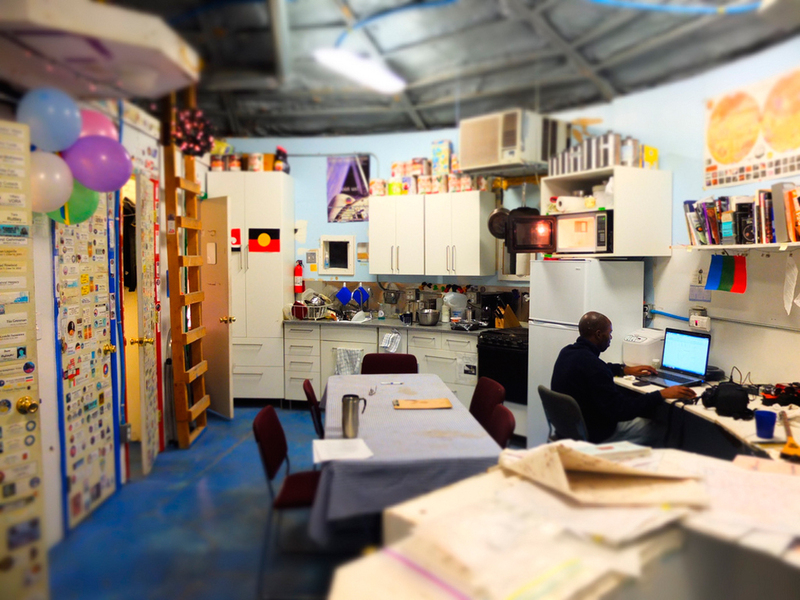 Although Wilcox is a third-year MFA student, he grew up amidst NASA activity in his hometown in Alabama, and therefore cultivated an interest in space travel. “As an artist, I feel my role is to be doing research in development for humanity,” he explained. Wilcox plans to include concepts and artifacts from his expedition, such as pictures of different soil types, in his thesis. This March, his graduating class will be presenting a Master of Fine Arts Thesis show at the Miller Gallery. His thesis project is a live musical performance “Robot Cowboy Onward to Mars,” and a concept album about humans living on Mars. Turnshek teaches Introduction to Astronomy and Experimental Physics at Carnegie Mellon, and teaches astronomy and The Physics of Science Fiction at the University of Pittsburgh. Writing science fiction is one of her many hobbies; in 2011, she co-authored an award-winning book on fiction writing, Many Genres/One Craft. Her upcoming novel No Experience, is a young- adult adventure novel that takes place on Mars. Colonization of Mars has largely been seen as a dream fulfilled only in science fiction. However, Turnshek, Swisher, and Wilcox hope to convey that it is attainable, and perhaps even necessary. Aside from NASA, a number of private companies are taking steps to establish human presence on Mars. Mars One, a nonprofit company, plans to begin establishing colonies on Mars by 2023. The company is currently seeking groups of four astronauts to periodically send on reality TV-style missions to Mars. Those selected would pay for their own travel and their journey would be publicly visible. “The kicker is that these missions are set up as a series of one-way trips,” Turnshek said. The idea may seem bizarre, but according to Wilcox, there has been more than a significant number of volunteers. Colonization of Mars will be different from prior space expeditions because, in Turnshek’s words, it will be more than “a flags-and-footprints mission to just say we’ve been there…. We need an actual reason to colonize Mars.” And it appears that we have quite a compelling one. Turnshek believes there could be human presence on Mars within a few decades. Swisher and Wilcox hope to see an expedition even sooner. “Technological ability is not preventing us from going to Mars. If we put in the money and manpower, we could go to Mars in the next 10–15 years … it’s a matter of will, not ability,” Swisher said. After their experience, all three hope to encourage involvement in space expeditions. “Mars might be looking for a few good men and women, but those who go will be counting on us to have their backs. It takes a planet to send a colony to Mars,” Turnshek said. “What’s interesting to me about this project is thinking about approaching something that has a meaning beyond just our generation or just our time. I really think the defining moment of our time should be … that humans go to Mars,” Wilcox said.